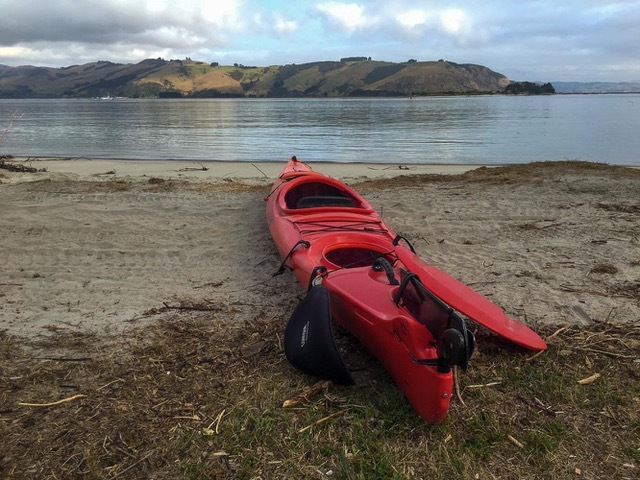 The weather down here in Otago (in the south of the South Island) can be famously cold and rainy, so it was with some trepidation that I signed up for a sea kayaking adventure around the Otago Peninsula. 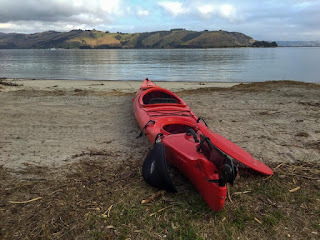 However, it turned out to be just about perfect conditions for kayaking – some cloud cover (to ward off sunburn), but no wind to buffet my feeble kayaking efforts. 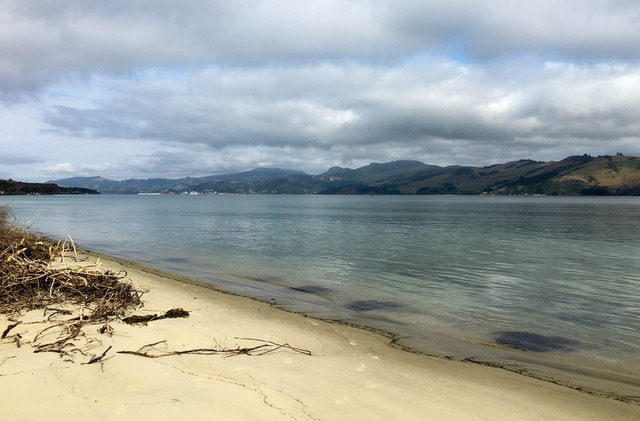 So, this unspoilt Peninsula was looking its most beautiful best, while the cool waters were glassy and smooth – giving us some nice views back to the ship at Port Chalmers. 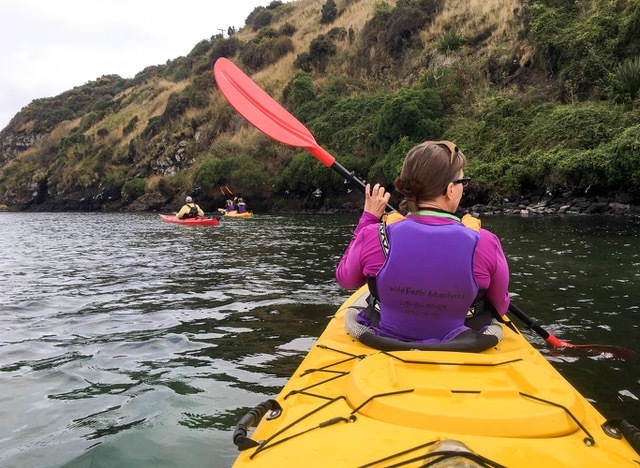 Kayaking is always a good way to combine exercise with sightseeing, but the best part of this tour was how close we got to the wildlife that calls the peninsula home. 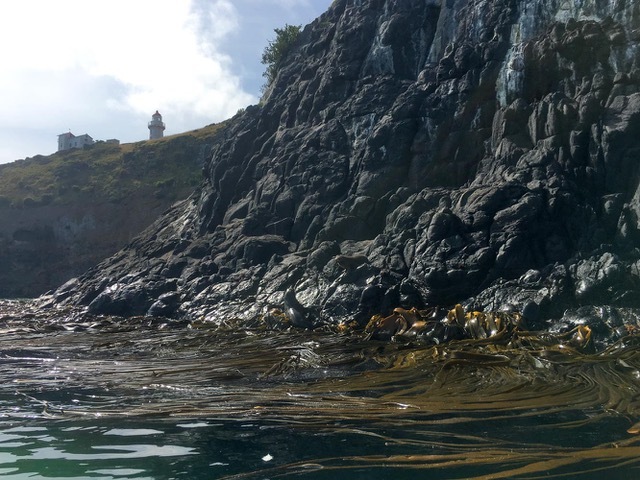 As we paddled along, the odd playful seal would pop up in the water right next to us – either floating nonchalantly on his back with a fin in the air, almost like he was waving to us; or wrapping himself up in the thick rubbery ribbons of kelp that were floating off the coast. 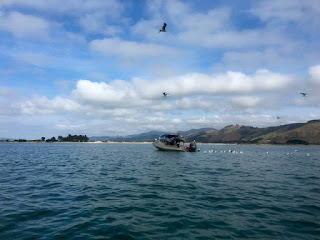 As they twirled around in the water like spinning tops, it was almost like they were putting on a show for us. In addition to seeing more seals (including a cute fluffy pup) sunning themselves on a rock, we also got close to a cormorant colony clinging onto the steep cliff face. 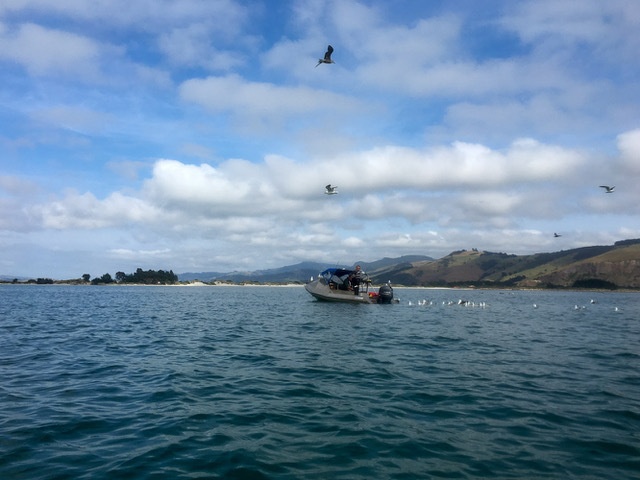 It felt like a couple of them were trying to dive bomb us, but the guide reassured us that they just like to fly very low to the sea when they come into land. 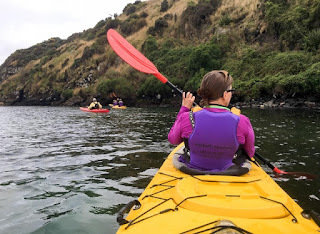 We actually got out beyond the peninsula into the open ocean, where the going was a little tougher, but thankfully it was time to turn around and head back to the shore. By now, my arms were really beginning to protest, but it was just a case of gritting your teeth and powering on through (not that "power" was an adjective that could be ascribed to my increasingly weak efforts).